Some things that could wrong with the Trip Itenerary to visit North Korea;- Ok not that I should be thinking about going to North Korea at all being that they abducted one of my cousins from an Akita, JP beach. However, If someone wants to sport appx. $4000 to see how far I make it on the trip;- i'll sign up. And I'm Tan from the Hawaiian sun. #1 - Japanese restrictions on travel to China. And, since USA doesn't acknowledge my Japanese family and called us Japanese garbage;- Someone will probably cancel my flight who knows better overseas. I have gotten a Chinese Visa before, however with misspelling of my name. The name being misspelt can create issues if trying to LEAVE China, even if they allow the entry. America is politically insensitive lets anyone go anywhere and ignores important things like its own security agreements and international families that are larger than the Kennedy's. Oh yes, and the rumor that being Christian is illegal in China and currently being enforced and punishable by Death. In 2005 after my brother was murdered, i helped some 25 Chinese Exchange students as I saw an organization called People Link bringing 400+ Chinese exchange students to our very Racist Philadelphia suburb. Some of the Children were sons and daughters of the more educated and elite in Chinese Universities and Government. The Children were aged 8-16 and accompanied by 1 young adult translator. I stepped up to the challenge since the Philadelphia area's racism typically would result in a slew of Foreign Exchange students being dropped off at our doorstep like a litter of unwanted kittens. Some of the stories I heard throughout my life that came back to me to try and assist in the area included 10 year olds being thrown out on country roads with a sign that said they need a home (because they weren't Christian) The American host families voluntarily signed a contract for the responsibility of caring for an international child visitor knowing full well that the children were coming from China and were not Christian. Several dozens of children went through similar ordeals that one year (though It was a problem in the Philadelphia region for DECADES and included Japanese students). #2. 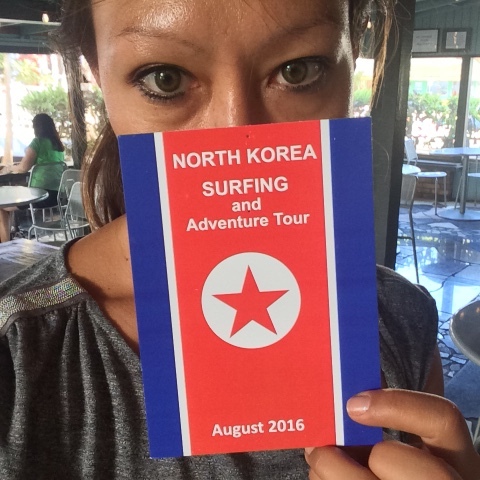 - Tourist of Pyongyang;- Despite peaceful intentions of those who organize peaceful efforts. Actions against Citizens of countries that are highly disliked can occur. In 2004, on a private business recon of Thailand after the Tsunami;- I was invited to China by a wealthy French Export-importer. I stayed up on the politics with Japan and China then, and decided I would wait a month instead of easily going on the day visas. Because of my Japanese family relations, I had great business concerns. And, within a week of turning down the offer, a number of Japanese tourists (including women) in China were mobbed and beaten/assaulted at another Anti-Japan protest though with escalated violence. The first publicised Toyota burning in English occurred in the months before my brother's death in the USA.